Dow Jones (-0.49%), S&P 500 (-0.28%) and NASDAQ (0.66%). 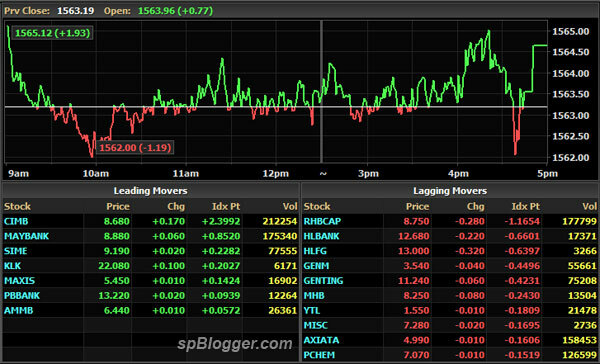 FBM KLCI advanced 1.47 points to 1,564.66. Most markets advanced 1 to 2%.